A few months since its launch, Airport Maintenance Services Ltd (AMSL) has signed its first contract with Resorts World Bimini and The Genting Group to upgrade the Southern Bimini airport. These upgrades will bring Bimini’s southern airport to international standards in order to commence and accommodate night flights and ultimately improving the island’s tourism industry, as well as providing employment for Bahamians, and will cost around $400,000. “In just a few short weeks we will begin to send twenty young Bahamians to train alongside with our partner Hi-Lite Global, at airports around the world,” he added. After the upgrades, the Southern Bimini aerodrome will be amongst the first of newly upgraded Family Island airports in The Bahamas that will meet FAA and ICAO regulatory standards and compliance. 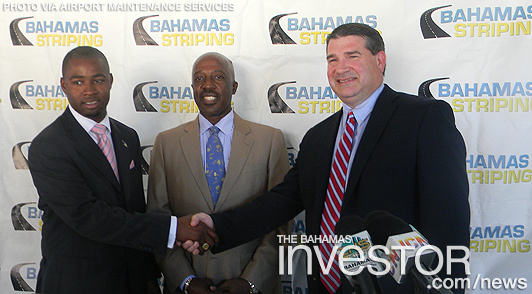 Additionally, it will be the third airport in The Bahamas that will be able to accommodate night flights. With the travel industry expected to be worth $300 billion in the US alone and the Internet being the most handy tool to search for destinations, search data from Bing places Hawaii on the top of the list, followed closely by The Bahamas.